The fundamental technique for the use of diced cartilage in rhinoplasty has been known for over 50 years. One of the most impressive uses of diced cartilage is in cranioplasty, which demonstrates that the individual pieces coalesce into a semirigid graft over time. The term diced cartilage graft may refer to several different types of cartilage, methods of preparation, and methods of containment. In the present report, only autogenous cartilage derived from excised material, septum, or distant grafts is used. Containment refers to placement of the diced cartilage directly into a tight pocket for contour, layering of the cartilage on either side of rigid dorsal graft for blending, or placement of the cartilage in peripyriform pockets to advance the midface. The technique and benefits of diced cartilage grafts in rhinoplasty were reviewed. A prospective study of more than 150 patients in 3 years found no evidence of absorption and no warping. Any problems thus far with the diced cartilage graft have been technical problems rather than problems with the graft material itself. One problem has been the visibility of radix grafts, particularly in patients with very active eyebrows. This problem is easily corrected by reduction with a pituitary rongeur or replacement with fascia alone. Dorsal grafts may have “edge show” cephalically, and caudally there may be inadequate grafting of the supratip region. This problem is easily corrected with the patient under local anesthesia by use of a pituitary rongeur. A minor depression may develop in the supratip area because the surgeon has initially undercorrected in pursuit of an immediate supratip break. This problem is corrected by keeping the graft truly full length rather than shortening it to get tip set off. In using diced cartilage grafts in rhinoplasty, diced cartilage wrapped in fascia is simpler to use, quicker, and aesthetically superior to solid cartilage grafts, without risks of warping, malalignment, and K-wire extrusion. For the author,Rollin K. Daniel, MD; diced cartilage grafts have revolutionized dorsal grafts in rhinoplasty, replacing layered septal grafts, stacked conchal grafts, and carved costal cartilage grafts. He asserts that diced cartilage wrapped in fascia is simpler to use, quicker, and aesthetically superior to solid cartilage grafts, without risks of warping, malalignment and K-wire extrusion. Diced cartilage grafts in rhinoplasty surgery: current techniques and applications. 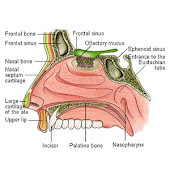 Dr.Rollin K. Daniel has used diced cartilage grafts in nasal surgery for more than 30 years. However, the number of cases and the variety of techniques have increased dramatically over the past 6 years. The complications of using this technique are predictable and correctable. Because the cartilage is mobile for 10 to 14 days after placement, there can be defects that arise from poor management of the graft postoperatively. Edges are usually not visible, but they can be in a particularly thin-skinned patient. Overcorrection and undercorrection are probably the most common complications seen with this technique and must be managed accordingly. Malposition of the graft and mobility of the graft may also be seen in a rare number of cases. Absorption of the graft has not been seen in the longest of follow-ups (6 years). In conclusion, the technique of diced cartilage with fascia (DC-F ) has been a useful method of dorsal reconstruction as a stand alone technique and in concert with other methods of building the dorsum. There are many permutations and surgical variations of the technique. The authors believe that proper preoperative analysis will help the surgeon to derive clear indications so that the correct graft variation is used with a clear purpose. There is no substitute for preoperative diagnosis and planning when using the DC-F graft. The technique is safe, easy to perform, has minimal morbidity, and is our favored method for addressing difficult problems in dorsal reconstruction.